The Ending Youth Homelessness Act Passed in Maryland! – Provides additional grant funding to end youth homelessness and address related disparities based on race, ethnicity, sexual orientation, and gender identity by establishing the Ending Youth Homelessness Grant Program. 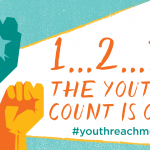 The Department of Housing and Community Development, Delegate Mary Washington, the University of Maryland School of Social Work, and the rest of the Youth REACH MD Coalition would like to sincerely thank all those continuing to support the Youth REACH MD effort to reach out, engage, and assist to end homelessness for youth in Maryland! Every night in America, thousands of youth are living in cars, vacant buildings or couch surfing with family or friends. We don't typically see them on the streets or in shelters. They are often doing their best to go to work or school each day, but they lack a safe, stable place to call home. The reasons are varied – some have left abusive situations, others may have left the foster care or juvenile justice systems with nowhere to go, still others were rejected by their families for who they are or their families were just no longer able to support them because of their own challenges in meeting their basic needs. 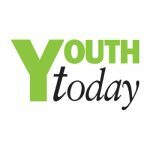 Experts agree there is a need for a coordinated and consistent approach to better understand and address youth homelessness. 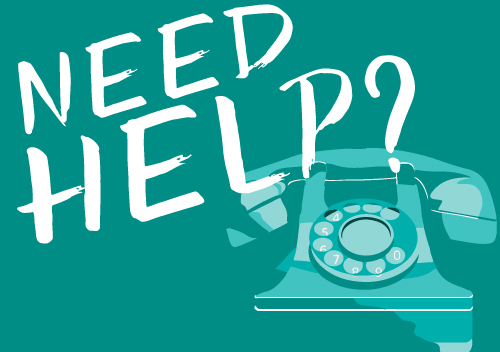 One of the challenges in addressing youth homelessness or housing instability is knowing how many youth and young adults are experiencing homelessness, what their experiences are like, and what are the supportive services that they need. Youth REACH MD (Reach out, Engage, Assist, & Count to end Homelessness) is an effort to begin to address youth homelessness in Maryland by obtaining information on the number, characteristics, and needs of youth experiencing homelessness or housing instability to help inform efforts to end and prevent youth homelessness. 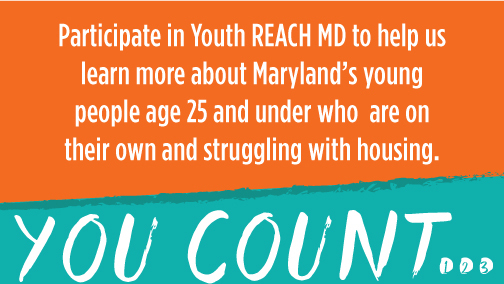 Learn more about Youth REACH MD.